I grew up on what was considered the standard American diet for the late ’80s and early ’90s. A diet that consisted of packaged food, microwaveable frozen meals, Lunchables, margarine, and Velveeta cheese. My mom prepared home-cooked meals, but even those were prepared with creamed soups, fake cheese, and other processed “ingredients.” We never thought about what was actually in our food, because we were too focused on calorie counting and avoiding fat and cholesterol. In 2009, I sat down with my husband to watch a new documentary called, Food Inc. That documentary opened my eyes to the idea of eating real ingredients. Ingredients that are whole (or minimally processed in a way that’s natural to consume the ingredient), nourishing, wholesome, and nutrient dense. It was at this time that I decided to become a vegan. 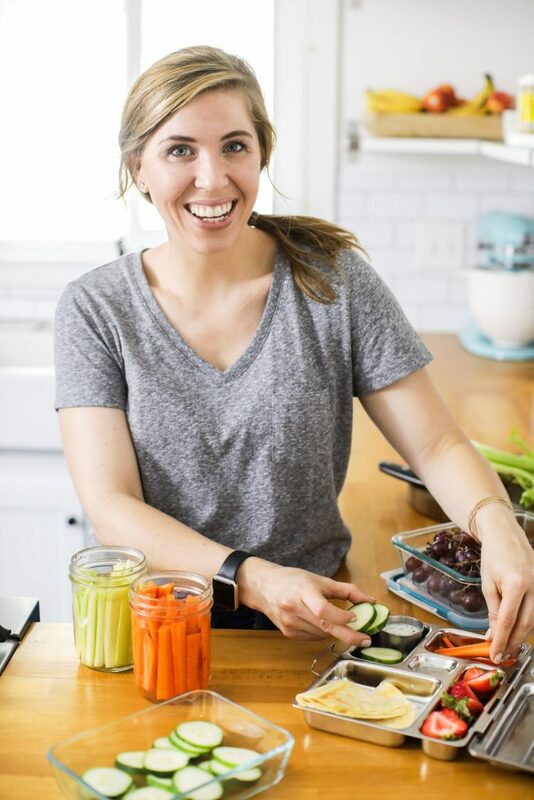 Long story short, in just a few years, I transitioned from a diet full of processed food (I didn’t know how to prepare or cook actual ingredients) to a diet that eliminated all animal products, and then eventually to a more balanced “real food” approach. It’s been an interesting journey. A journey that’s been guided by knowledgable authors, like Michael Pollan, and my own research. Today’s post isn’t about my real food journey. If you’re interested in my full story, you can read the details over here. Today’s chat is about the books that helped guide me on this journey. 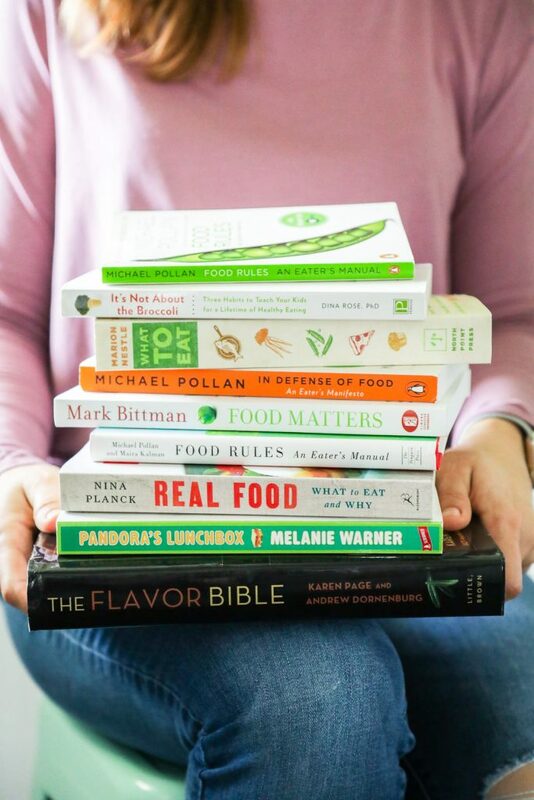 Books that cover everything from the basics of real food to issues with our current food system to how to make a meal with real ingredients (a lost skill in our current fast food, processed-everything society). I let a friend borrow my copy of this book recently so I don’t have a photo of the actual book. I grew up in a society that was afraid of fat, cholesterol, and calories. When I started reading about “real food” I was confused about where these fear-inducing words fit. This book was just the answer I needed to stop fearing these essential components in real ingredients. I don’t soak most of my grains anymore (as taught in the book) or purchase raw milk (due to the new pick up location in our area and my lack of time to get there), but I still adhere to many of the recommendations: consuming good fat, enjoying sourdough and incorporating fermented foods into our diet, etc. Each rule is followed by a short commentary. This book was recently made into a documentary, so if you don’t have time to read a full book right now, you can also watch this book on Netflix. Mr. Pollan’s premise for this book is: The more we worry about nutrition, the less healthy we seem to become. 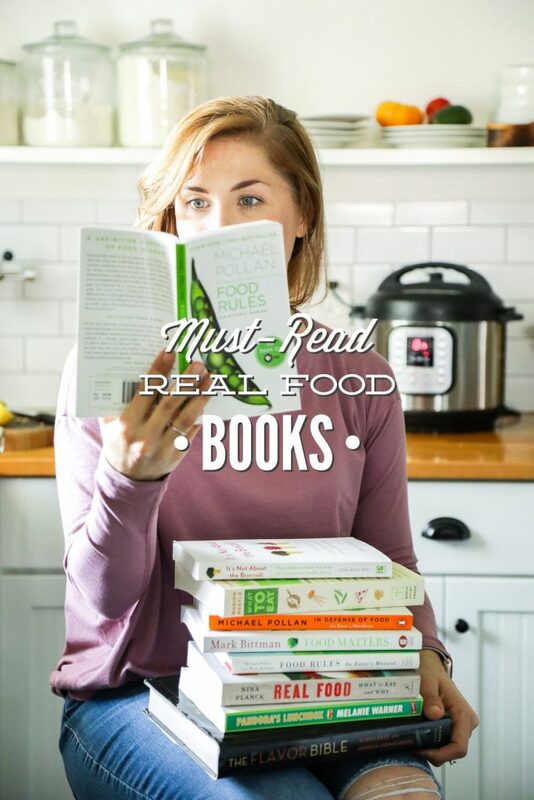 The book then explores what we should eat and how to find real food. 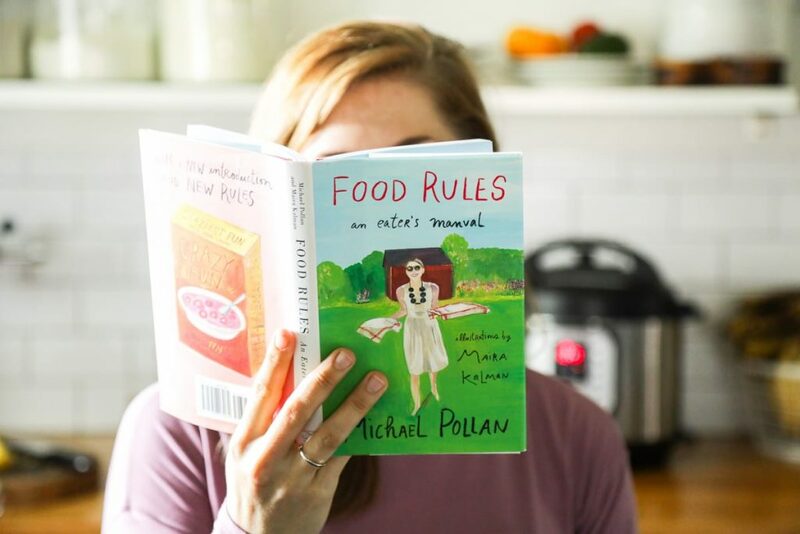 Before we move on from Mr. Pollan, it’s worth noting that he’s also written two more books about real food. The Omnivore’s Dilemma: A Natural History of Four Meals is a long, thorough look at where our food comes from and the issues surrounding our current food culture. It’s a good read, but I find his other two books (mentioned above) to be more enjoyable. I haven’t read his recent book Cooked because I watched the four-part documentary on Netflix. 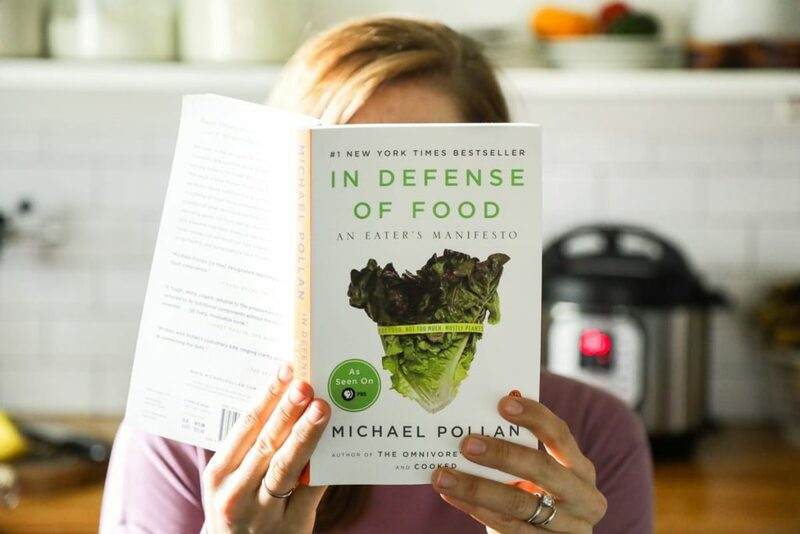 This book is a great follow-up to Pollan’s In Defense of Food. Mr. Bittman explores government policy regarding food and big business marketing. He also includes 75 recipes in the book. 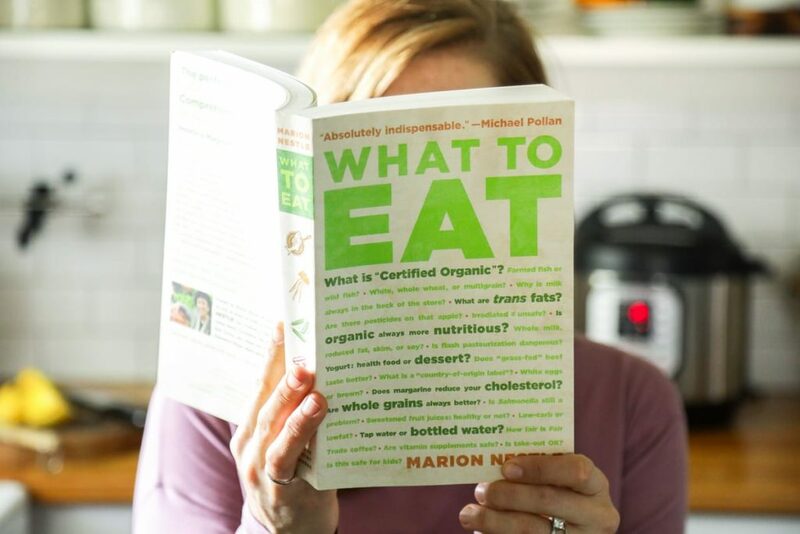 If you’re looking for a book that explores specific foods (along with how to find good sources for such food), this is the book. Okay, I’m going to preface this choice by saying that this is my least favorite of the options on this list. This is only because I find Ms. Nestle’s book to be very long, but just because I don’t care for super long books doesn’t make this book “bad.” I recommend starting with Pollan, Planck, and/or Fallon’s books (discussed above) and then if you still want to read more about real food, move on to Ms. Nestle’s book. In this book, Ms. Nestle walks the reader through the grocery store and shares “what to eat” from each section. It’s very detailed (hence my long comment). 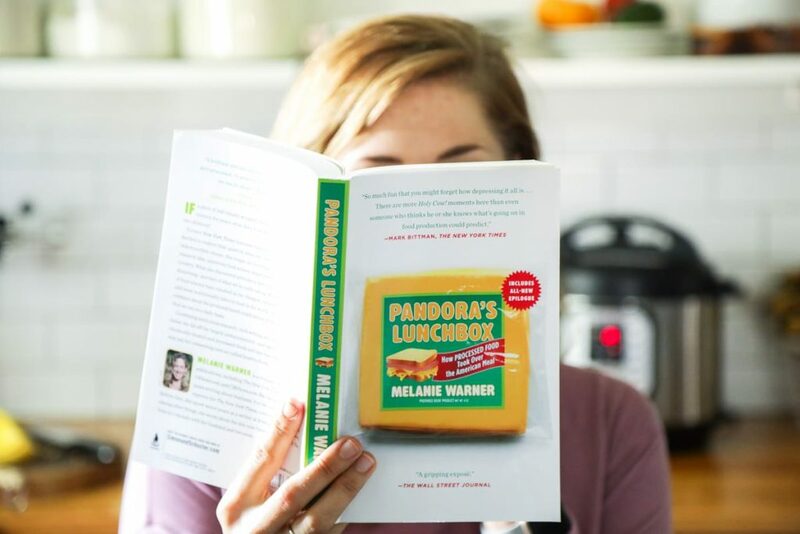 A block of indestructible cheese was all Ms. Warner needed to convince her that something isn’t right with our food. She started to investigate what we’re actually eating. This book is a result of her investigations. 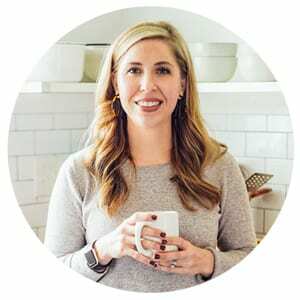 Ms. Warner focuses on processed food and the real price we’re paying when purchasing this food. Let’s move on to the topic of kids and real food. This book is such a breath of fresh air for parents. 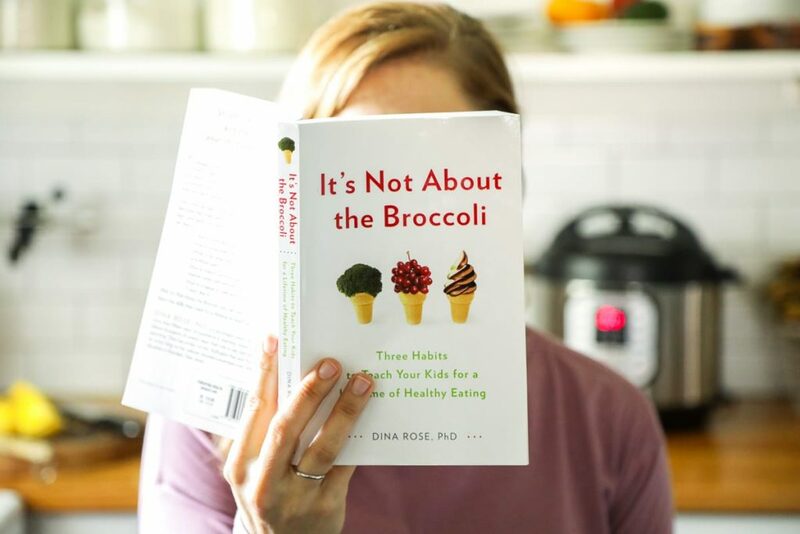 I first learned about this book from Taesha, the blogger behind Natural Nurturer. 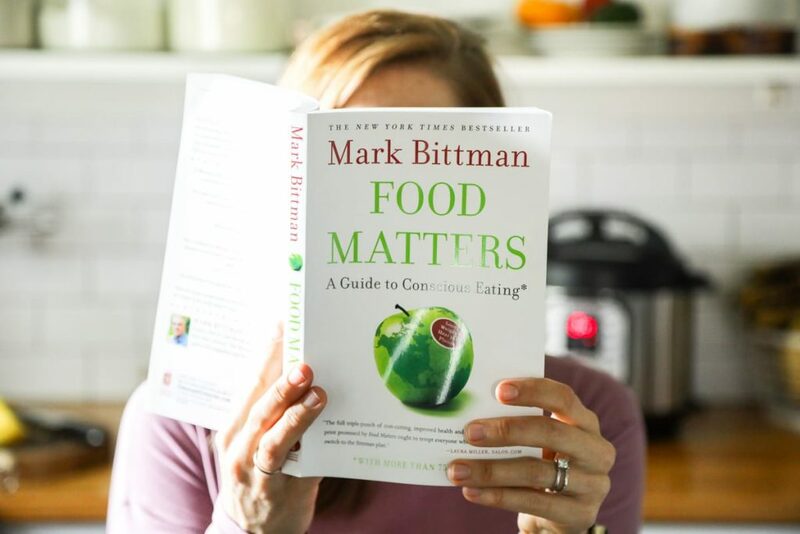 The focus of this book is on fostering good habits versus focusing solely on nutrients. If you want to learn how to cook real ingredients, without relying on a recipe, this book is for you. I think everyone should read this book. 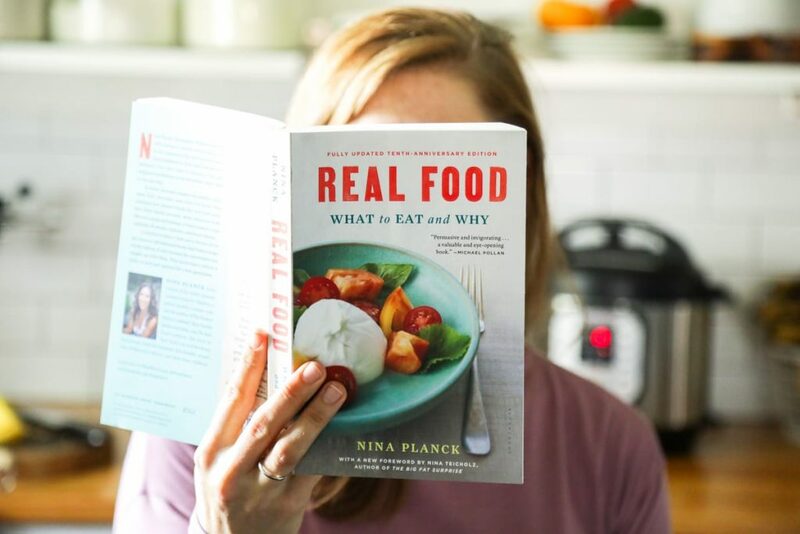 It’s not a fancy chef book; instead, it’s written for people just like you and me: home-cooks wanting to nourish our families with good food. 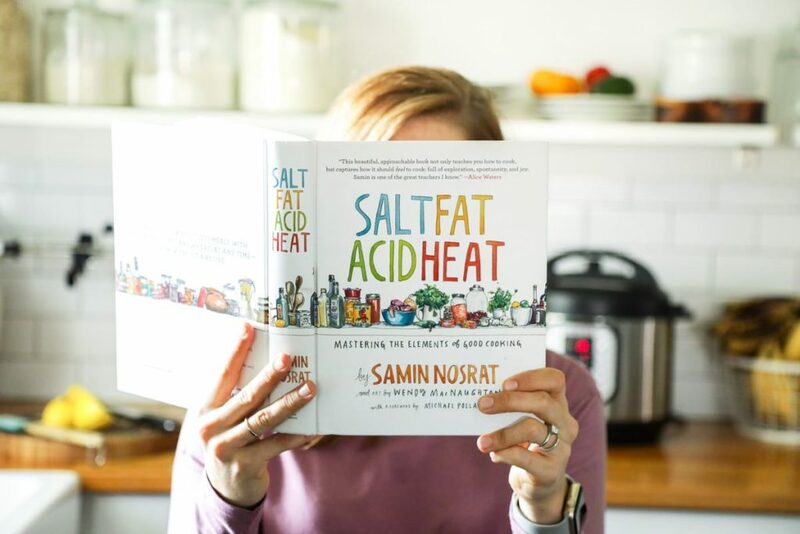 Unlike the previous cooking book, this book isn’t for everyone. If you want to get creative in the kitchen, without a recipe, this book is your guide. 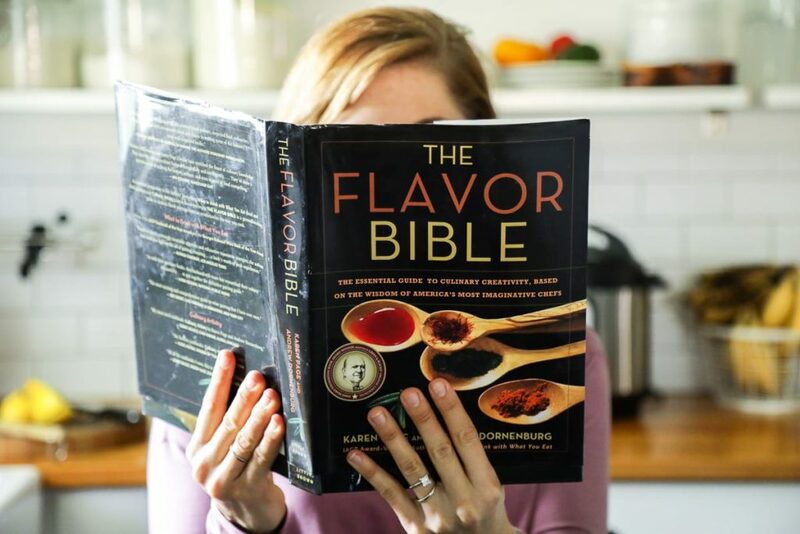 The book lists ingredients (such as: sweet potatoes, cinnamon, turnips) and then offers a list of cooking recommendations: spices to use, cooking methods, etc. I turn to this book often when I’m developing a recipe.